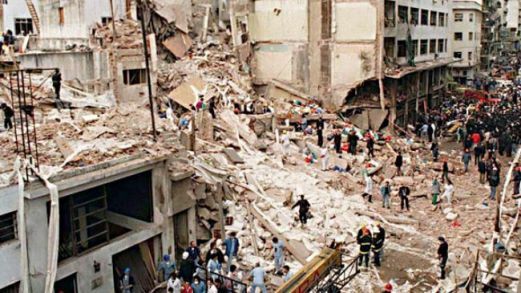 Twenty years ago today, on July 18, 1994, a Hezbollah/Iran operative bombed the Jewish Community Center of Buenos Aires, Argentina, known as AMIA (Asociación Mutual Israelita Argentina, or Argentine Israelite Mutual Association). 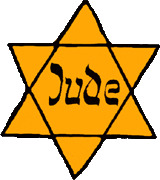 85 people, most of them Jews, were murdered, and more than 300 were injured. The bomb completely and quickly flattened the large seven-story building. And so it is ironic that on this day, twenty years later, America is closer and friendlier than ever to Iran–which has never paid or admitted its part in this massacre–and is enabling this nation, which commissioned mass murder of the Jews in South America, to soon have nuclear weapons. Not ironic, just sad and disgusting. And Israel and the Jewish people, today, continue to be plagued by deadly Iran-sponsored HAMAS and Iran-financed Hezbollah, which still target not only Israel, but all Jewish people, including tourists on a bus in Bulgaria, who were blown up by yet another Hezbollah jihadist. Also today, Israel continues to fight a far-too-restrained two-prong war against HAMAS and its ally-in-Jew-hatred, Hezbollah. Some things never change because Islamic terrorists are handled with kid gloves. Also sad and disgusting that Ibrahim Hussein Berro–the 21-year-old (some reports say he was 29) Shi’ite Muslim suicide bomber who perpetrated the attack at the behest of Iran and Hezbollah–is having another last laugh. In addition to America’s strange new love affair with Iran, Berro’s relatives–including his two brothers, admitted members of Hezbollah–are Americans now. In fact, they live just miles from me in Dearbornistan, Michigan, where they proudly gave photos and blood samples to enable investigators to determine from Berro’s DNA that he was the bomber. The relatives see this “achievement”–the murder of nearly 100 Jews as something to celebrate. And they live in our midst. THIS. IS. 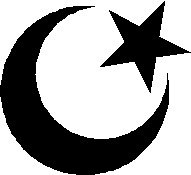 ISLAM . . .
As I’ve told you time and again over the last two decades-plus, Hezbollah’s minions are on our shores, thriving and multiplying exponentially–a fifth column of well over 100,000 are here. And when they visit their native South Lebanon, they can see the plaque in their close relative’s honor, which lauds Berro’s “martyrdom.” Yup, religion of peace, indeed. Religion of pieces and rest in peace. 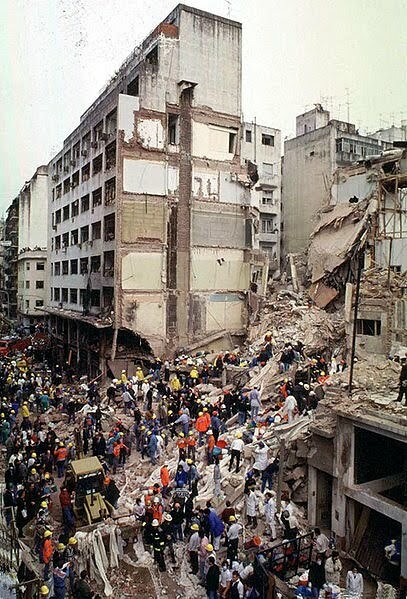 The Buenos Aires Jewish Center bombing followed the 1992 Hezbollah/Iran bombing of the Israeli Embassy there, in which 29 innocent people were murdered and 242 were injured. The day after the Jewish Center bombing, Iran and Hezbollah struck again, with a suicide bombing on a Panamanian commuter plane, killing all 21 passengers, 12 of whom were Jews. Investigators found that the terrorist bomber was an Arab passenger with fake Columbian identification documents, using the name Lya Jamal. But, despite all this, it took a long time for any investigation to ever happen. Then-Argentine President Carlos Menem, an Arab “former” Muslim of Syrian descent, took at least $10 million in bribes (deposited in his Swiss bank account) from Iran to cover it up and block any legitimate investigation into Iran’s and Hezbollah’s sponsorship of this mass killing. But, finally, as I noted on this site in 2006, Argentine prosecutors ordered the arrest of former Iranian president Akbar Hashemi Rafsanjani and seven others for the Jewish Community Center bombing, saying the decision to attack the center “was undertaken in 1993 by the highest authorities of the then-government of Iran” and carried out by Hezbollah. They asked the judge to seek international and national arrest orders for Rafsanjani, as well as Iranian intelligence chief Ali Fallahijan and foreign minister Ali Ar Velayati. Also responsible was Imad Mughniyeh, Hezbollah’s chief of armed operations, who was sent to the 72 dark-eyed virgins in a well-deserved car bombing that is frequently blamed on Israel. 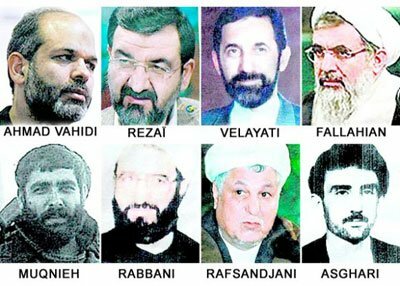 The Argentinians, of course, never actually got to arrest or try any of these culpable Iranian leaders, who worked for the same ayatollahs that run Iran today. And Barack Obama demanded no justice for the victims of the AMIA bombing–not even an apology–when he re-opened trade and meaningless, phony negotiations with Iran. Iran has never been made to pay. Instead, Obama rewarded the country, and it is laughing at us all the way to the bank . . . and to the uranium enrichment, centrifuge, and ICBM plants. Iran, too, is laughing at the victims and survivors of its bombing twenty years ago today, as its well-financed proxy, HAMAS, continues to murder Jews and make war with Israel, along with its other well-funded proxy, Hezbollah. 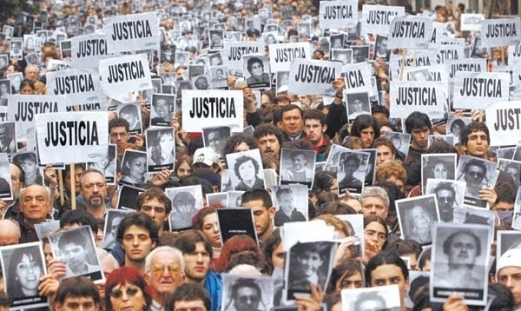 So, the wails of the ghosts of the victims of Hezbollah’s and Iran’s unpunished and unanswered bombing of the Jewish Community Center of Buenos Aires cry out. But, 20 years later, nobody is listening. Keep the hammer down, Debbie. Don’t ever stop your reportage and reminding exactly what Islam is. I can hear some Muslim saying, and just what are we? You are punks. You are irrational, hate-filled, human devils with sun burnt brains. Your “religion” is not a religion at all, but the world’s largest gang. I don’t believe that this man Mohamed ever existed, and who elevated him to prophet status? There were no prophets after Jesus, you idiots. Your “Noble” Qu’ran is nothing but a bunch of made up, hastily scribbled nonsense, an instruction manual for the gang, nothing more. The “God” you worship doesn’t even exist. The God of Israel will some day come and teach you truth. The only truth you know is whether or not your camels are the kind with one hump or two. And as for youse guyz, you’re all a bunch of humps. I love you, Debbie. The Lord keep you safe and well. And of course we shouldnt forget the Deir Yassin massacre among many others. i read something once about reaping and sowing. Deir Yassin was one of the few things the leftist Zionists got right, you scum. Muslim life has no value. When we forget or reject that, we do indeed reap what we sow. They may have had the last laugh there, but they are being sued in Canada by their victims and have had their assets frozen. It may not be a massive amount of money and property, but at least it’s an example that other countries could follow. There was an article about it in the National Post yesterday. The head dude in Canada has been extremely vociferous in his support of Israel this past week. I think Iran has big plans for its other admirer across the pond. Leftists in the UK love Iran because they usually have great sympatico with their intellectual elite exports. 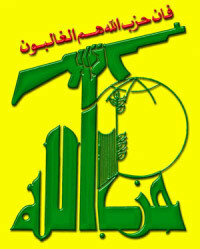 For them the revolution or collapse is always just around the corner. Collapses have never quite lived up to expectations in Iran but hope lives eternal. In truth they’re more of a 6th column. The 5th column is much more familiar and closer to home. Please, remember the name, I would be honoured. I appreciate the information, Soifranc. I was not deliberately being silly, by any means. I’m in the middle of doing a few repairs to a friend’s home, running back and forth to my computer, to read and try to put up a few quick posts. Some of the things I’m doing I’ve never done unassisted. I’m poor and desperately seeking any and every bit of work I’m remotely qualified for. I’m blessed to have friends who don’t mind trying out a rank amateur on certain projects. I should have looked it up, and I will indeed remember that name. He’s a courageous man for saying the things he has, and I’m glad Rush Limbaugh highlighted his comments on one of his recent shows. No hard feelings Alfredo, I understand that our leader is not very much known, since we are not a very important contry compared to USA and Europe. But I am honoured to be Canadian when my Prime Minsiter stands his ground on matters that are not politicaly correct. And in this particular case, am I ever proud of him ! As well you should be. Rush appropriately lauded him for his courage, and I do as well. We wish our “head dude” was such a man. As for “important” countries, they’re all important. Canadians have maintained a quiet dignity and decency that has bypassed many in America. I have friends with property in Canada. They have become sort of honorary Canadians in the community they vacation in twice a year. They have been going there for the past 22 years, and I always enjoy their stories about the part of Canada they know, and the Canadians they tell me about. I also have been on web sites occupied by more than a few Canadians and have met a couple myself on their jaunts to NYC. Good folks. Karen & Alfredo: useful info. I remember this well, Debbie. Since Ronald Reagan left office, the United States has been afraid of Iran. I don’t know why. Maybe it’s because the Russians back Iran. Why the Russians do that is beyond me. 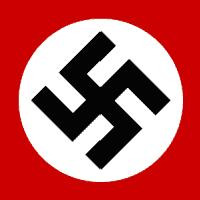 It reminds me of Stalin starting WWII by teaming up with Hitler to invade Poland. We all know how that worked out. The AMIA bombing is worthy of remembering, Debbie because it reminds us of the broad reach of Iranian terrorism. It reminds us that Iranians don’t strike “somewhere else”. They have the network to strike America on our home soil. That was a hallmark day in world history, October 23, 1983, and Debbie’s right to chime in. Since when does America leave ONE Marine behind, or let the murderous death of even ONE Marine go unanswered? Although I learned to respect and admire Reagan later on in life, I’ve never forgotten to point the finger at that day, and his terrible lack of response. I always felt that his administration had a blind spot when it came to Islam. And it was after that attack, that I began telling people I knew those things would come to American soil one day. I always got either rolled eyes, dismissed or ignored when I would talk like that, however. Dead Right on Reagan, Debbie. I’m sure Ronnie was concerned with one enemy at a time, but the biggest problem was that the USMC did their best to alienate and inhibit good communication with Mossad and the IDF in Labanon (remember the pistol to the Israeli tank commander head? PX Kelley was a dweeb. Ronald Reagan was not a bad, and was maybe even a good president, but he was not a conservative. 2) He was scared of fighting back against Hezbollah or Syria, who was behind the bombing, and he never went after Iran for blowing up Pan Am 103 (Iran was the real culprit, not Libya). 3) He gave the first amnesty to illegal immigrants. 4) At the end of his term, he gave recognition to the PLO, or at least publicly opened up communications with them. Debbie Schlussel, you forgot to mention that Cristina Kirchner, Argentina’s radical leftwing president, set up a joint “truth” commission with Iran, although there’s no sign of activity of that commission, and there’s an active opposition to that commission, including a lawsuit against the treaty. As I recall, most of that increase related to increased military spending, at least his first term. Deficits derived from tax reductions. 2) He was scared of fighting back against Hezbollah or Syria…. Hindsight is 20/20. Reagan’s focus was always on the USSR. I think that this was an appropriate focus, and it was surely a conservative one. Absolutely true. But as he said, it was a major mistake. I do not think he would continue to do that. How many Republicans can one say the same for now? That was Israel’s fault. the Israeli left was holding these kinds of communications in the background for years. I am proud of Harper and a happy Canadian for his standing up for Israel’s right to defend itself. I for one would jump for joy if Israel started sending an equal number of rockets back just as indescriminately as HAMAS sends theirs over Irarl’s populated areas. Just make sure they are laser guided to inflict the highest number of casualties possible in order to match HAMAS intent. Just get it over with and declare all out war and kill them until they are no longer ABLE to send rockets even if they wanted to. And then level Iran into dust for sending Arms to HAMAS in the first place. Crap! Sorry for the typos! You really believe that, don’t you, HK? smh! But don’t you get it, that martyrdom is the highest service they can do for Allah and Islam? They WANT to be martyrs. They dress their children in suicide belts, teach them to hate as soon as they can talk and if a parent survives, s/he receives great honor for being the parent of a shaheed. They get set up for life. interesting that the gazan economy is in ruins yet the gazans have plenty money to build such elaborate tunnel networks, amass 1000s and 1000s of missiles, and build a subterranean terror infrastructure, while the average gazan lives in abject poverty……DOES THE WORLD SAY ANYTHING ABOUT THAT ??! !